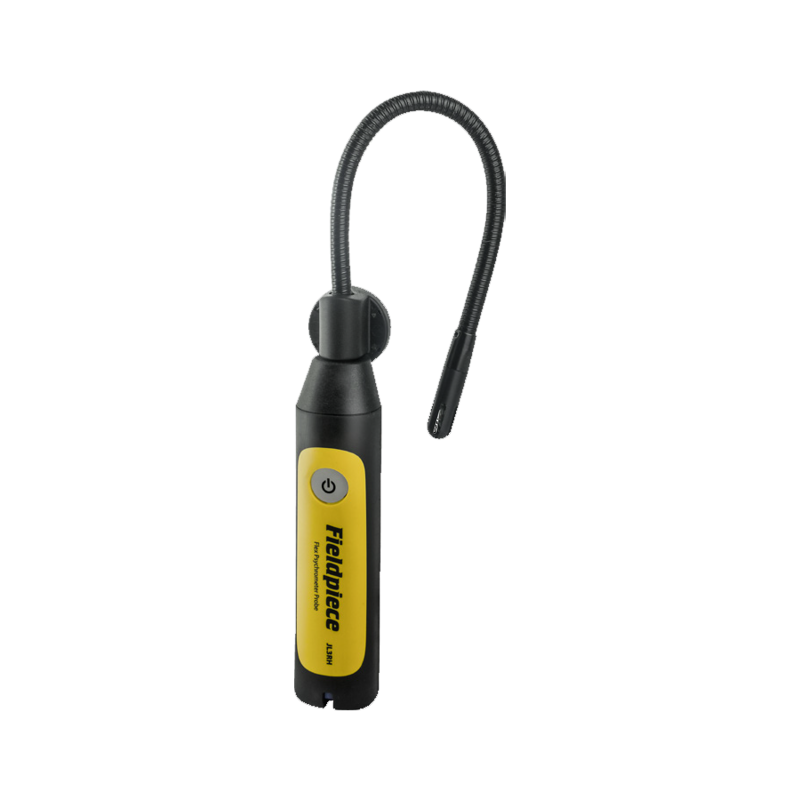 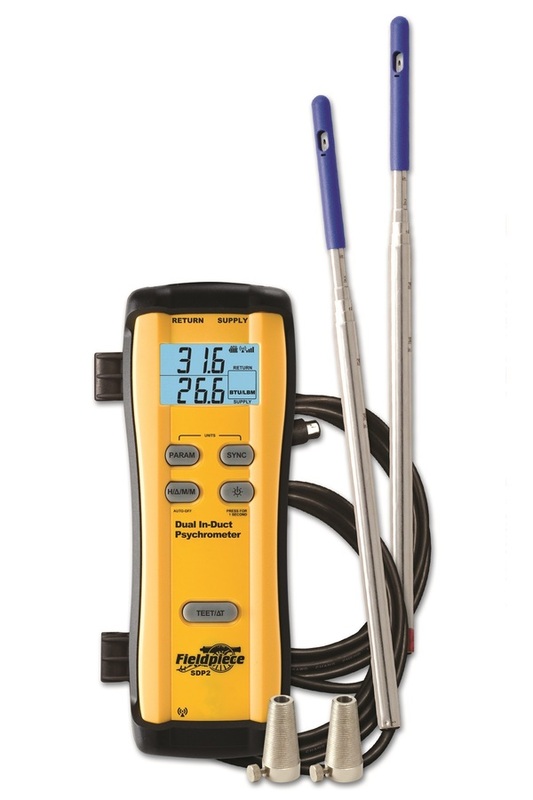 The SDP2 Dual In-Duct Psychrometer is more than just your everyday HVACR psychrometer. 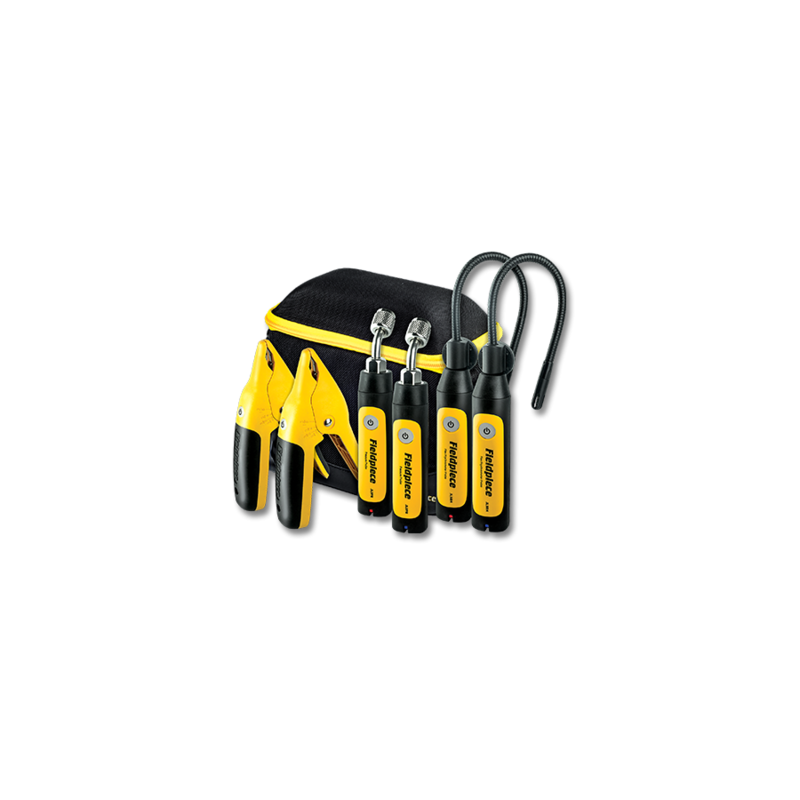 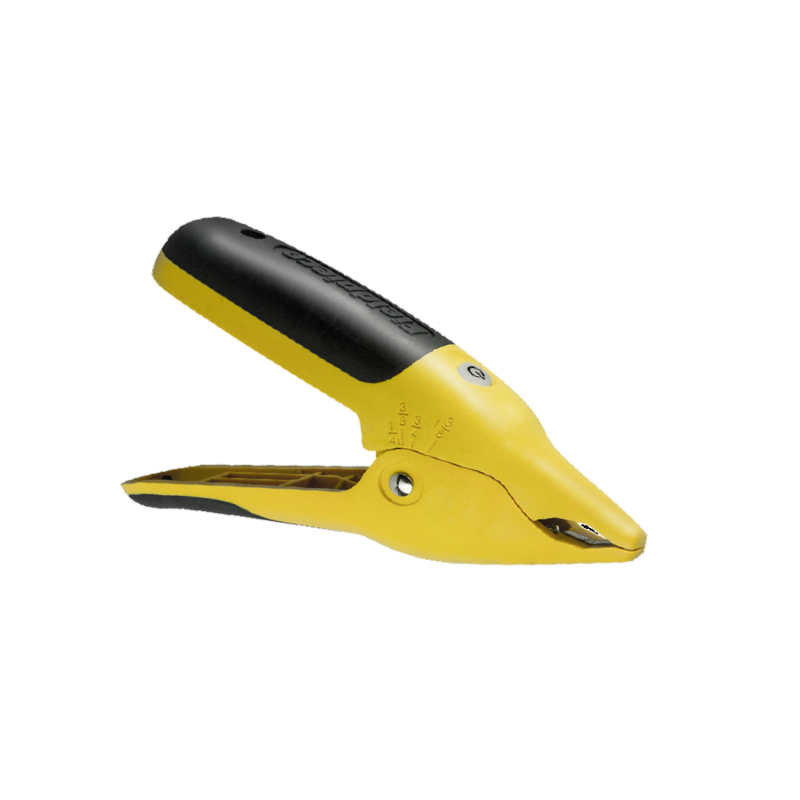 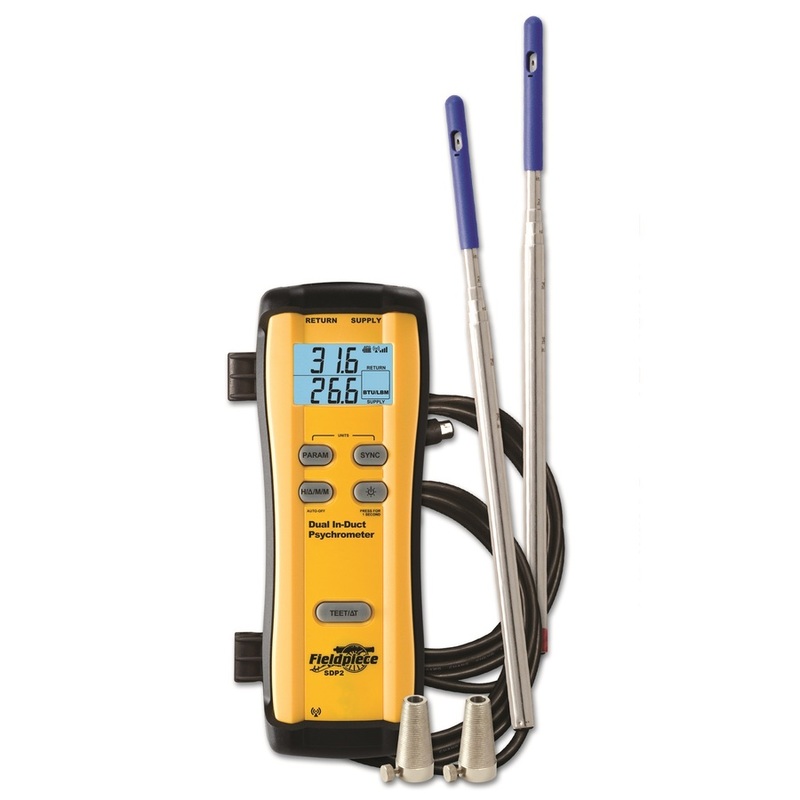 It gives HVACR professionals more insight into HVAC evaporator performance than any other psychrometer, because it takes four evaporator measurements at one time: supply wet bulb, supply dry bulb, return wet bulb, and return dry bulb. 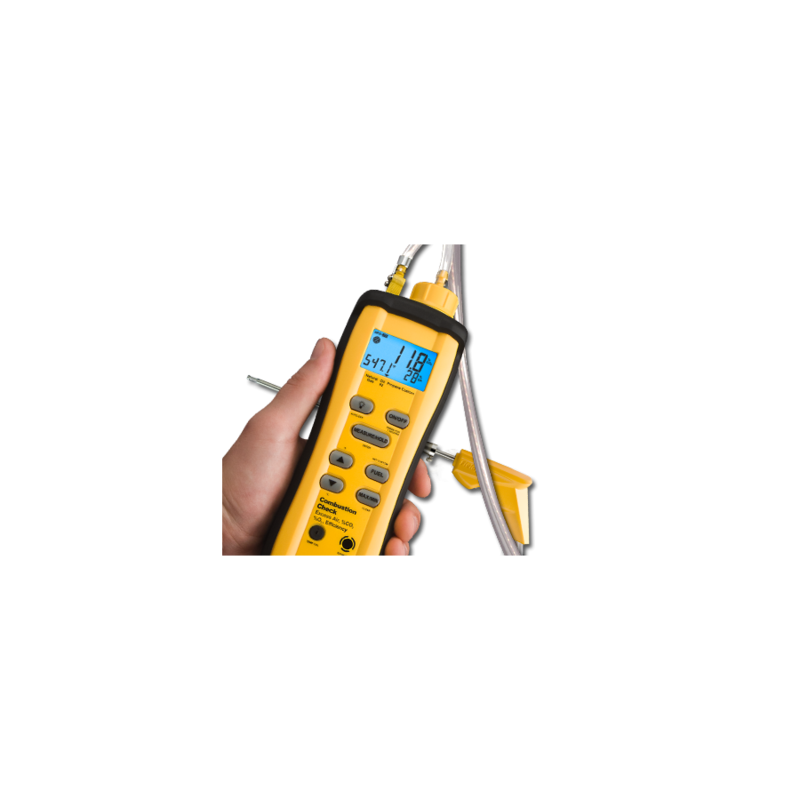 So HVACR professionals get a live, real-time snap shot of the evaporator performance, even while conditions are changing. 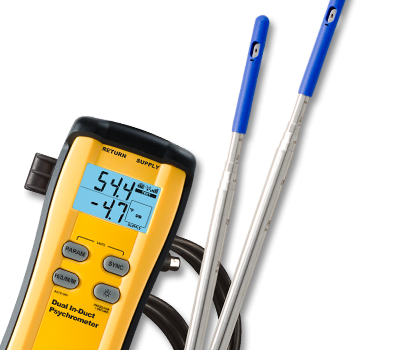 Based on these live, dynamic readings, the SDP2 Dual In-Duct Psychrometer registers system changes as they happen, and automatically calculates actual Delta-T, Target Delta-T, actual Evaporator Exit Temperature, and Target Evaporator Exit Temperature. 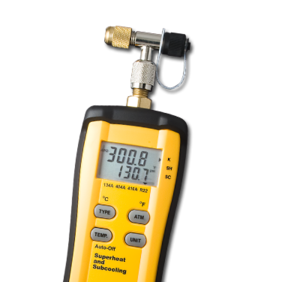 Plus enthalpy (KJ/KG) and Dew Point can be displayed in real-time. 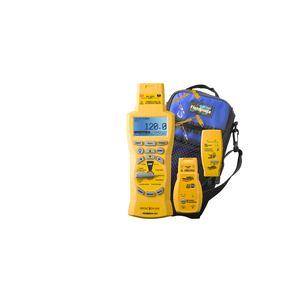 * The SDP2 is a great tool to help HVACR professionals do more all by itself. 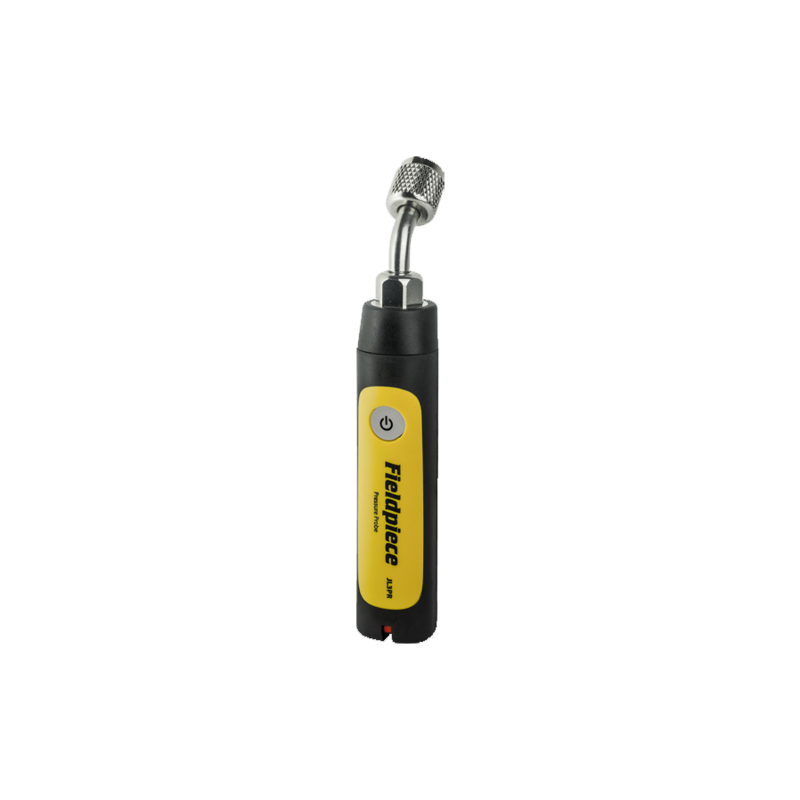 But couple it with the JL2 Job Link Transmitter and Job Link App and the SMAN 4-port Digital Manifolds, and your work improves dramatically in an instant. 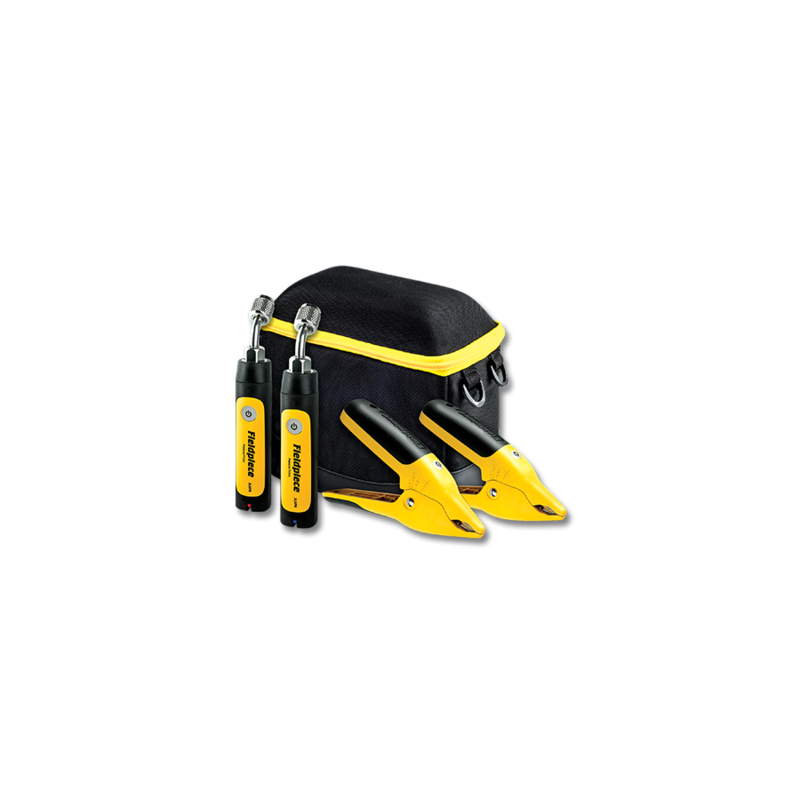 Not only are you checking and servicing a unit based on live real-time measurements, but the wireless communication lets you be in two or more places at one time!